Posted on February 16, 2014 by F.H. Twitter is a social media platform, used for conveying thoughts, opinions, photos and links in only 140 characters (letters, numbers, punctuation & spaces). From an educational perspective, Twitter is the perfect base for constructing an active PLN (Professional Learning Network). If you want to find out more about education, connect with like-educators and increase your knowledge and resources, don’t hesitate to download and sign up! It the the best form of free, instant Professional Development that an educator could ask for. 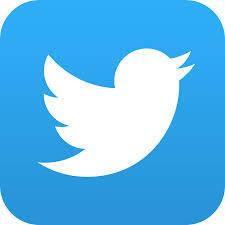 In the first few days of using Twitter, a lot of people are still finding their feet. There is the opportunity to just ‘lurk’; watching what others post without responding or being actively involved. As you come across information that you find useful, you can save it as a favourite, start to follow the user who ‘Tweeted’ it to see what other pieces of sage advice they have to offer, or respond to the ‘Tweeter’ to find out more. Click here to be directed to Twitter in the App Store. This post is the second in a series, highlighting apps which can be helpful in the education ‘game’.